Story behind this design ... At a lovely dinner party, I snapped a photo of a glass chandelier hanging above my head. It illuminated the room and flooded it with the warmest of light adding to the enjoyment of friends being together, sharing food and snippets of their lives. I like to think of this scarf as a token of the kindness our loved ones bring into our lives. 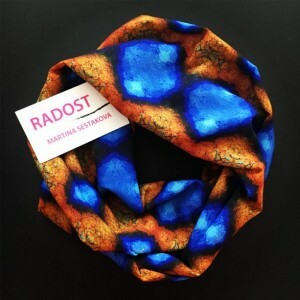 Wrap yourself in this bright light! 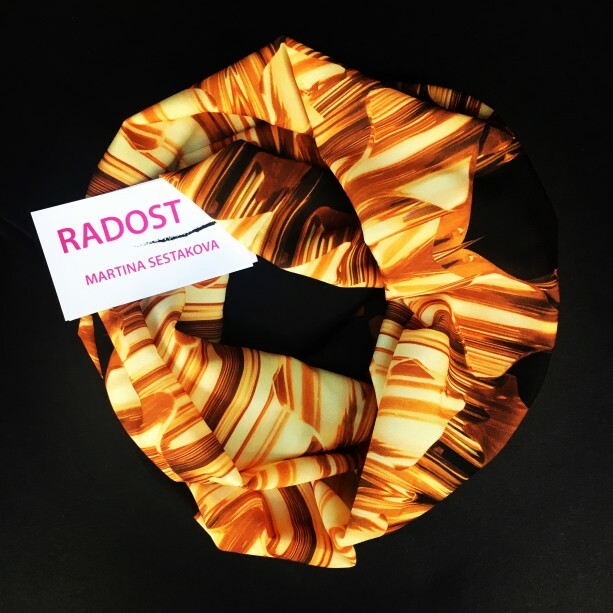 My unique RADOST™ infinity scarves are infinitely comfortable, stylish, and handmade by me with much joy in the United States. 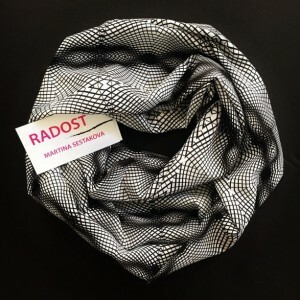 Material: Lightweight crepe de chine (100% polyester) Dimensions: 6" high x 24.5" wide (doubled over) Care instructions: Hand wash cold and line dry; do not bleach.